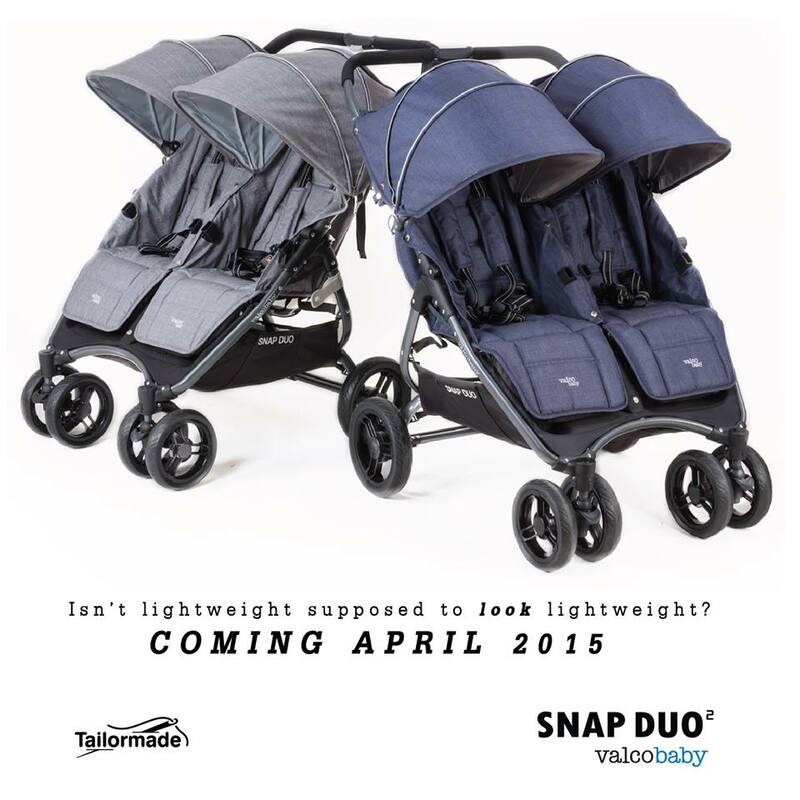 After ruling out Mountain Buggy Duet, the next stroller I turned my attention to was the Valco Baby Snap Duo 2. 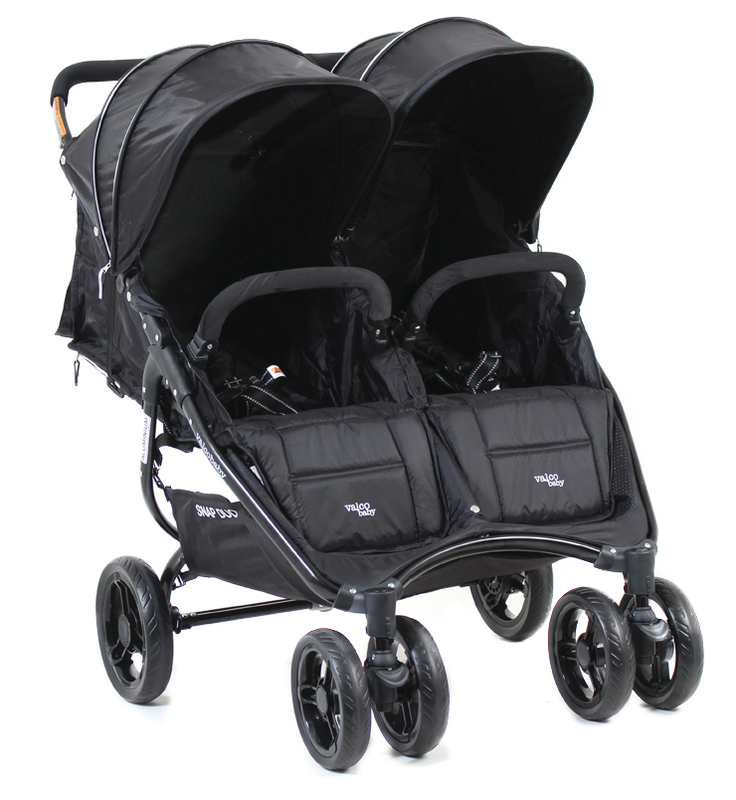 The Duo 2 is one of the lightest, full size double strollers on the market. It weighs only 21.6 lb! That's lighter than most single strollers! The Duo's weight makes it very convenient for petite mommies who need to lift the stroller in and out of a car, or take it down a flight of stairs. Despite the stroller's light weight, it is loaded with features which make it virtually perfect. 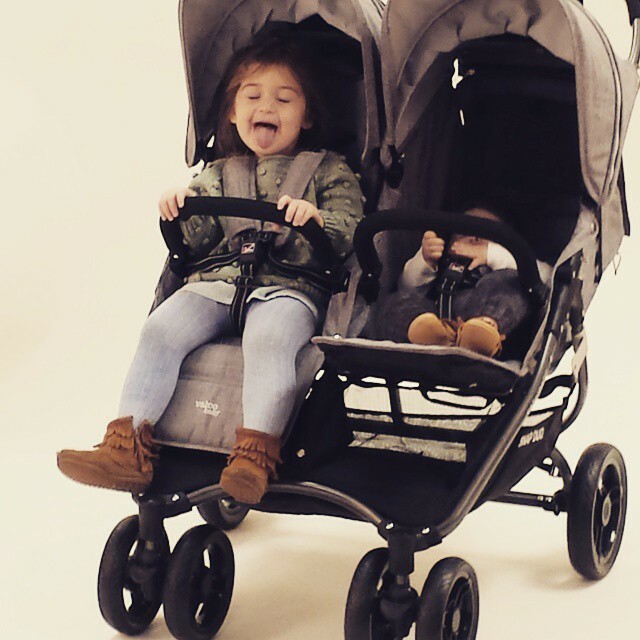 For a double stroller that lacks pneumatic wheels, the Duo is pretty easy to push. The foam tires glide well over reasonably smooth surfaces. This is not an all terrain stroller, but is best used for regular city side walks. Unfortunately, there is no suspension on this stroller. The tires are "quick release", so you can pop them off for storage. 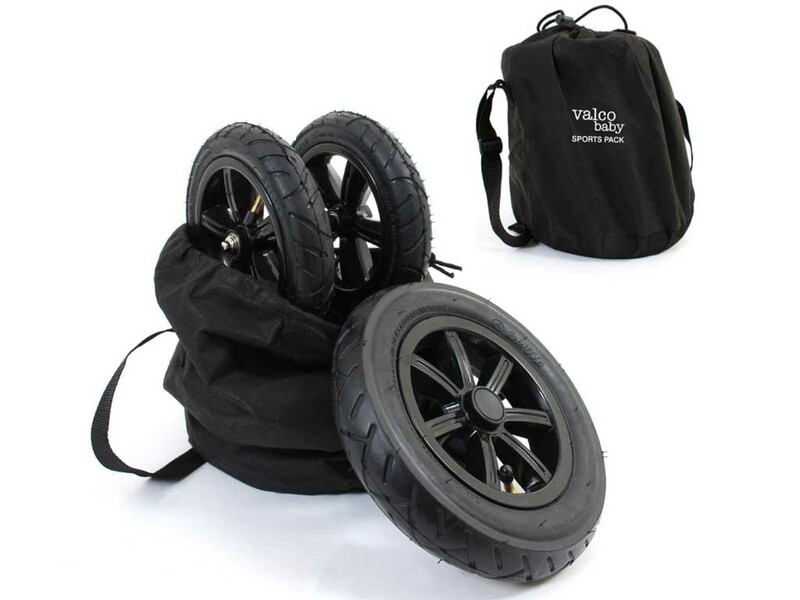 Valco Baby also offers the option of exchanging the foam wheels for air filled, all terrain wheels. I love that they offer this option, so that you can can pick which ever wheels suite your needs best. Of course, the pneumatic wheels will add a bit to the weight of the stroller, as well as drive up the price, but again, it's a personal choice. The handle on the Duo is not adjustable. The height of the handle is about 41", which works for average height parents. Since I'm only 5"2, I prefer being able to adjust the handle to a lower position, but this wasn't a deal breaker for me with this particular stroller. 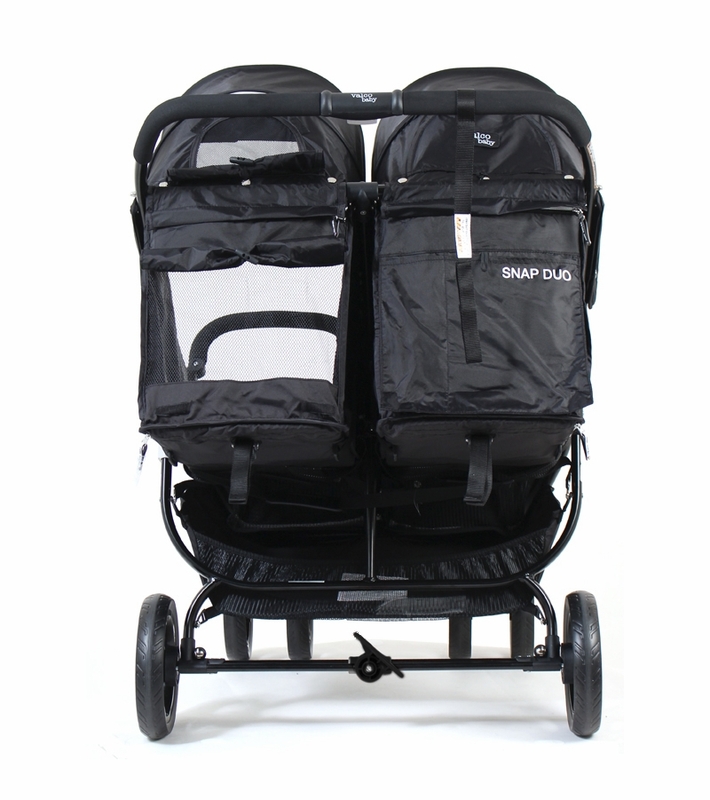 Snap Duo 2 is equipped with very generous, individually adjustable canopies with a mesh peek-a-boo window. The canopy can be extended to it's full size via a zipper. In the back of the canopy, right over the top of the seat, there's another mesh window which can be opened for ventilation. The Seats are 12.5" wide, a standard size for a side by side double. The seat depth is slightly shallower than on some double strollers, but not as shallow as on the Mountain Buggy Duet. My toddler seemed comfortable in the seat, with some room to spare. The seats have a flat recline, making the stroller suitable for infants. You can also purchase a car seat adapter and use the stroller as a travel system. The individual bumper bars with gate openings are perhaps my favorite feature on this stroller. After all, a bumper bar should be easy to open with one hand, right? That's exactly so on this stroller. I also really, really love the adjustable leg rests! The fabric on the black version of Snap Duo was a disappointment to me. It's the squeaky type with no breathability factor, that I so detest. Don't get me wrong, it's not any worse than on Baby Jogger GT, as well as many other high-selling strollers, but I'm very particular about stroller textile quality and breathability. 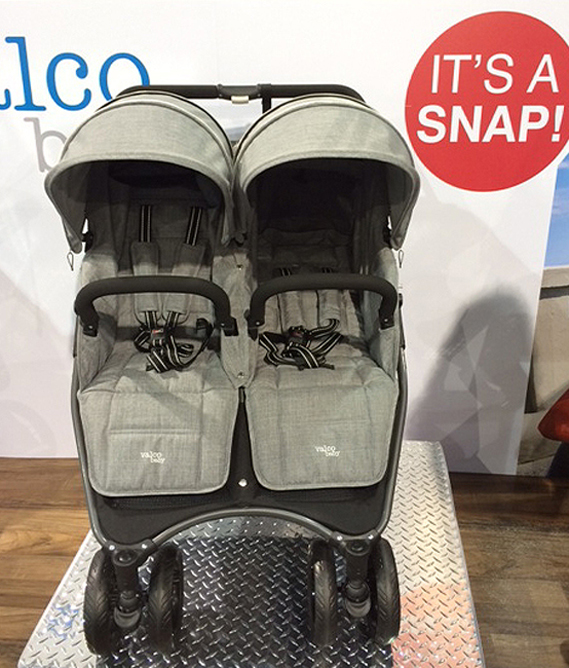 Luckily, Valco Baby will be releasing another version of this stroller with nicer fabrics in April 2015. The updated Snap Duo 2 (Tailormade) will be available in two colors - grey and denim. Valco Baby is also releasing an infant bassinet for the Duo2 and Duo2 Tailormade. 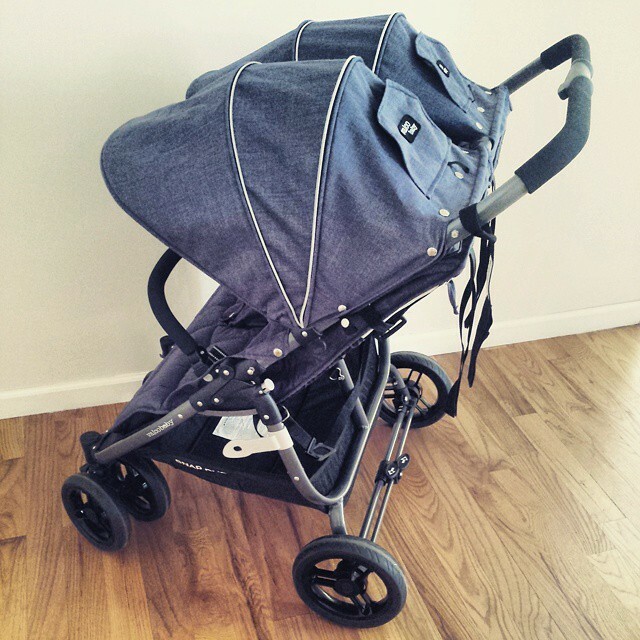 For a double stroller, the fold on the Duo is dreamy! It's so simple and effortless. 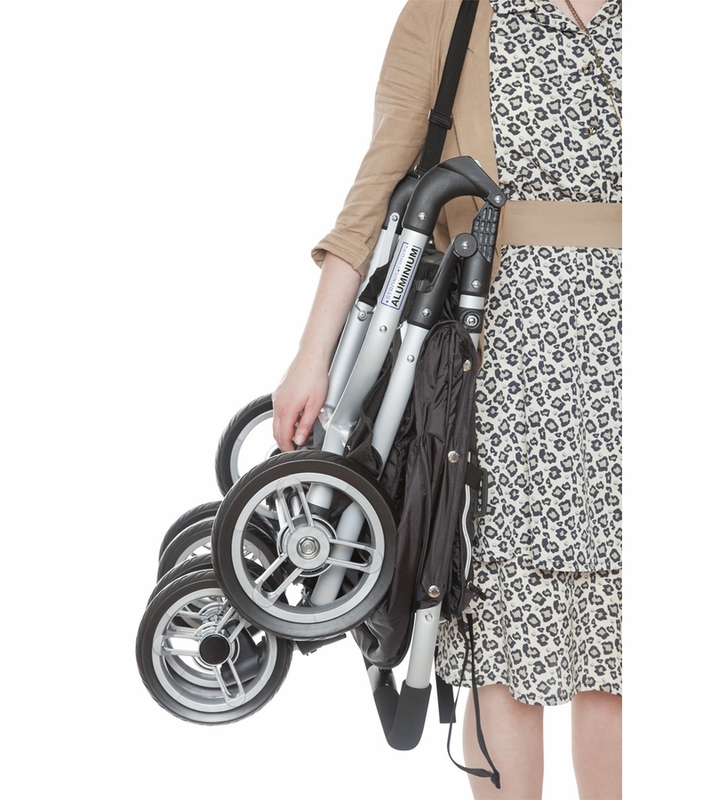 The stroller folds inward to protect the seat fabric and automatically locks in place. The fold is quite compact and there's a handy shoulder carrying strap. The stroller can also stand folded, or you can roll it behind you like luggage. With the exception of Baby Jogger, the Duo 2 quite possibly has the simplest, most intuitive fold I've ever seen on a double stroller. I really agonized over making a choice here, but in the end I decided to purchase another brand. The Snap Duo 2 pretty much has most of the features I've been looking for, but I couldn't live with the color and quality of fabrics. I just can't get over my aversion to black strollers. If only the lovely grey and denim was already available, this might have been my stroller of choice. Unfortunately, I couldn't wait till Spring to purchase a double, and so I went with something else. I will post a review and pictures of the stroller I ended up purchasing, shortly. Was the snap duo denim available in Australia? I can only find information about it being available in the US. You aren't tempted to sell the Indie Twin to fund the Snap Duo denim when it's available? My second is due the end of June 2015, my first will be 21 months old so like you am trying to find a suitable pram. My "want" list is very similar to what you were looking for, in fact if not identical - oh, with the exception of I'll need to get it in and out of the car more often than you do. I've been through so many "yep, I'll definitely get this one!" moments, which has now totalled perhaps 6 different prams ranging from the BJSC, to the Donkey to the Bob, and recently to the Duet. Now you've got me interested in two brands I hadn't looked at previously at all! I see the black Duo on the Australian site, but not the denim. The Tailormade Duo hasn't been released yet, so it's possible it will be added later on. You can contact Valco Baby on Facebook to find out. The thought of trading in my Indie Twin for a Snap Duo Tailormade has definitely crossed my mind. Valco Baby just pushed off the release date to May so I have some time to think about it. Both strollers definitely have their pluses. What's annoying about the Duo is that the seat fabrics are not machine washable. Who has time for hand washing these days? It's too bad we can't have it all in one stroller. I'm also eyeing Phil & Teds Dot V2. Originally I didn't want an inline stroller, but this one has some really cool features. I can't even imagine at this point how to present the idea of ordering more strollers to my husband :-). Let me know what you decide on. I'm always curious which strollers people are buying. I actually bought this stroller and was super disappointed. The handlebar broke after a year of mild use. One bump down a lobby stair broke it and it also does not fold anymore. The customer service was horrible in that the best they offered was for me to buy a new frame after requesting videos, pictures, etc.. I Have friends who have their city minis for years going through numerous kids and still in great condition. I understand your frustration. Quite honestly, not all strollers were meant for being bumped down stairs. I usually only bump strollers with large, all-terrain wheels. That way the wheels absorb the shock. 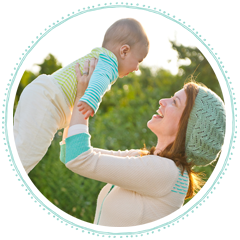 Was your stroller still under warranty?